I don’t know about you, but even as a native English speaker, I still make mistakes when it comes to grammar. I, sometimes, get so frustrated to want someone to fix my grammar automatically. For me, this can be a major concern because I do a fair amount of freelance writing. When a client is paying me to write an article or an eBook for them they don’t want a book that’s littered with spelling errors and grammatical errors. They expect work which is ready for immediate publication. They don’t want to have to first fix grammatical mistakes, and I can’t blame them either. Before I submit work that I have completed, I always proofread it first, but I have still had a few clients point out errors to me in the past. Fortunately, most clients are very understanding but it still bothered me. These days it doesn’t really happen anymore because apart from proofreading my work, I also check it with an online spelling and grammar checker. Apart from the regular spelling and grammar checkers which are built into word processing software like Microsoft Word, you also get many websites offering different online spelling and grammar checking software. These online grammar checkers are without a doubt far superior to those that are included with word processing software, but as you might expect, most don’t come for free. MS Word, in my opinion, does an excellent job at picking up on spelling errors, and to be honest, it is not too bad at recognizing grammatical errors either. However, it only tends to tell you that you have messed up, but it doesn’t offer any suggestions on how to correct your errors. When I use an online software program, on the other hand, it doesn’t only highlight grammatical errors, but it also tells me how to fix my grammar, and this sort of thing can be immensely useful, particularly if you are prone to making grammatical errors. As I have said already, there are several websites where you can sign up and then use the software which is available. Some will allow you to sign up for a free account but you will have limited access to some of the services or features being offered. This allows you to get a good taste for it, and then hopefully you will want to pay for a subscription that gives you 100% unrestricted access. 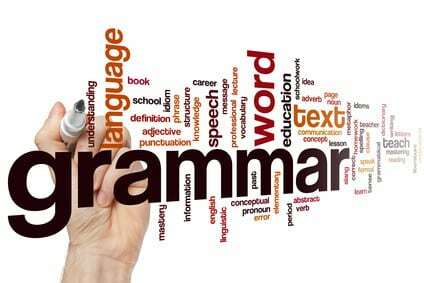 Grammar – Why Check it? Let us face it; a body of text which is littered with spelling errors and grammatical errors really does not say much about the person who wrote the text. If you are a creative writer you can often get away with a few grammatical errors, just like musicians can get away with using poor English. After all, artists are to a certain extent allowed to bend the rules. However, if you are writing anything which is even remotely formal, then you really do need to ensure your work is grammatically correct. Let us, for example, say you are applying for a job in a country where English is the first language. If your CV is full of spelling errors and grammatical errors, do you honestly think that prospective employers are going to take your application seriously? In some cases they might, but in most cases your job application is going to end up in the trash can. This is why a lot of people pay freelance writers to write their CVs and their cover letters. The same can be said about many website owners who need written content for their sites. A website populated with poorly written content is never going to be taken seriously, and that is BAD for business. * Mark and I had to hurry because we never wanted to miss the bus. * John came running down the corridor because he wanted to speak to Mark and I. * John came running down the corridor because he wanted to speak to Mark and me. * John came running down the corridor because he wanted to speak to I. The word “myself” should also only be used when it makes more sense than using “I” or “me”. I have plenty of loose change in my pocket. When I tried my new pair of pants on it was very loose. The neighbor’s dog got loose and killed our cat. I am going on a diet because I really need to lose weight. I think I am going to lose another tooth. Did you lose that telephone number I gave you? I have only highlighted two extremely common grammatical errors that can really make you look bad, but these are far from being the only ones. If you have any doubt whatsoever concerning your own grammatical ability, then I would definitely recommend that you sign up with a site that offers an online spelling and grammar checker, even if you only join a site that offers free membership.